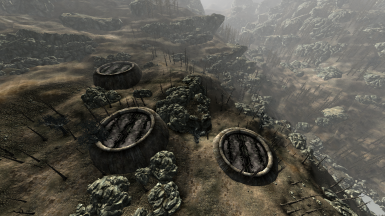 Replaces that puny old fence with Enclave barriers, and then some. 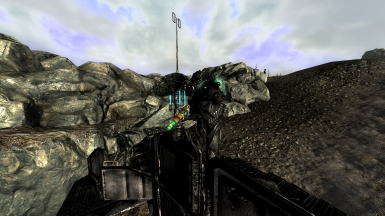 This mod can be modified, used in another mod, and ported to other games as long as permission is given. 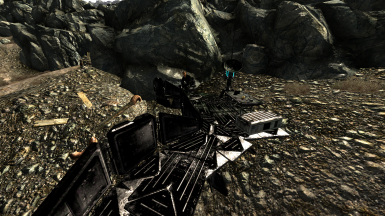 This mod cannot be sold for money or used to earn donation points. 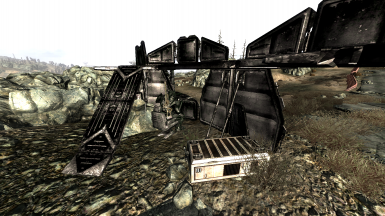 Ever been to Raven Rock and thought the exterior was rather lackluster? 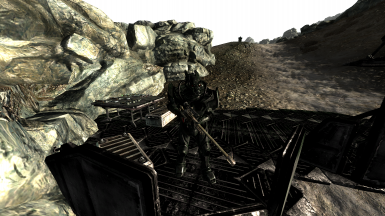 This mod aims to fix that. 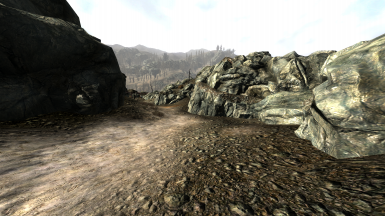 Gone are the days of that rusty old fence and sandbags, now the southern and northern exterior of Raven Rock will be protected by huge Enclave barriers. 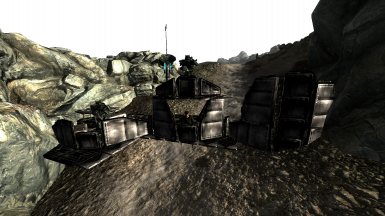 As a bonus, I've also added huge silos behind the door to Raven Rock. 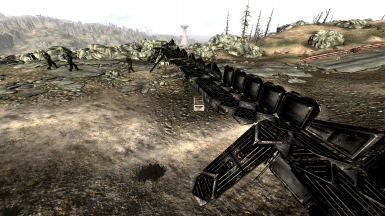 After all, you see the Vertibirds taking off in those giant tubes, so why aren't they seen outside of Raven Rock? 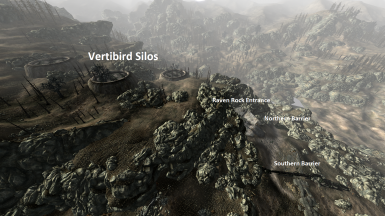 I mainly made this to be used in conjunction with the Enclave Improvement Project, in order to make the exterior of Raven Rock a little more satisfying to look at. 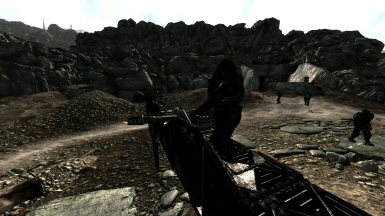 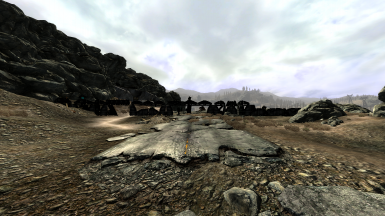 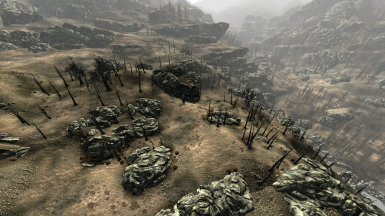 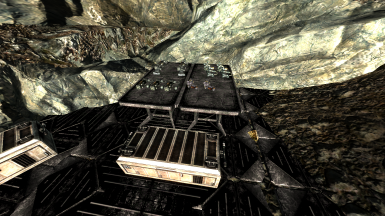 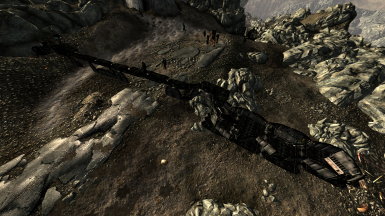 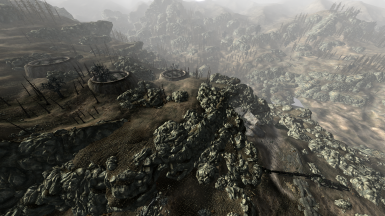 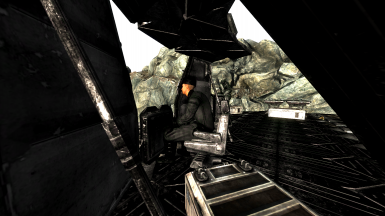 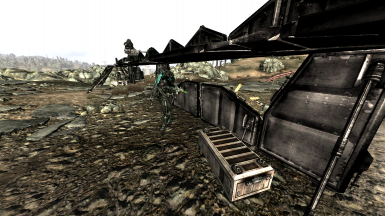 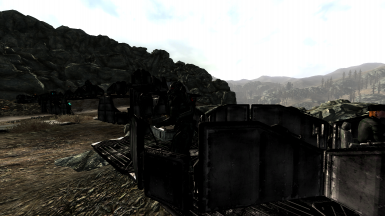 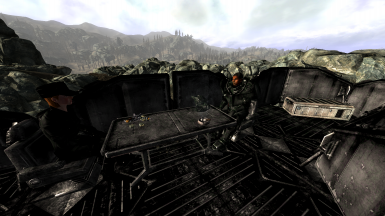 Because of how Fallout 3's engine and AI works, some of the soldiers guarding the barriers may end up in unusual areas in and around the barriers, this can be fixed by going to where they're supposed to be (see the images), selecting the soldiers in the console, and using the console command "moveto player" without the quotations. 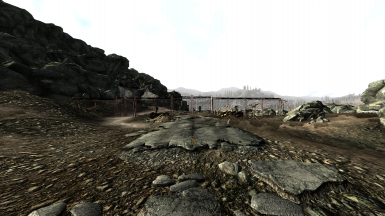 The texture used for the barriers is another one of my mods. 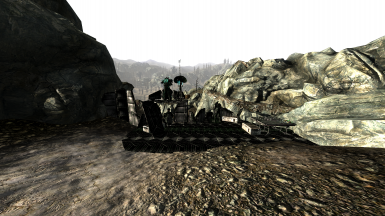 Should be compatible with just about anything, except maybe mods that change Raven Rocks entrance.